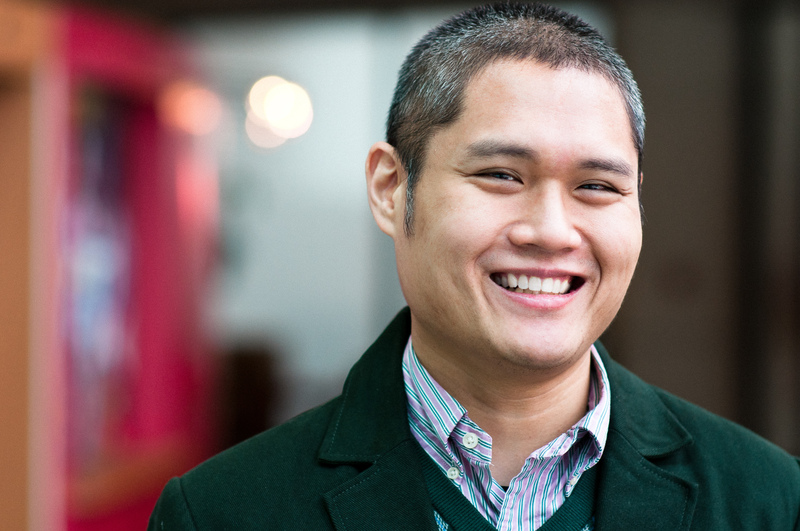 A. Rey Pamatmat’s newest play House Rules will premiere at Ma-Yi Theatre Company, and his after all the terrible things I do will be produced in About Face’s 25th Anniversary Season in Spring 2016. Recently, his work was celebrated in Boston where the Huntington and Company One Theatres presented after all the terrible things I do and Edith Can Shoot Things and Hit Them concurrently in the Calderwood Pavilion, and his play A Power Play; Or, What’s-its-name was presented at the 2014 O’Neill Playwrights Conference after being developed at the A.R.T. Institute and Berkeley Rep’s Ground Floor. after all the terrible things I do began as a South Coast Rep commission, debuted at Milwaukee Rep directed by May Adrales, and continued its life at the Huntington directed by Peter DuBois. Rey’s play Edith Can Shoot Things and Hit Them began a rolling world premiere at the Actors Theatre of Louisville’s Humana Festival of New American Plays, earned a Steinberg/ATCA New Play Award Citation and a GLAAD Media Award nomination, and continues to play across the United States. It was translated into Spanish as part of The Lark’s U.S.-Mexico Exchange and was presented at the Semana Internacional de la Dramaturgia in Guadalajara. Rey’s play Thunder Above, Deeps Below, was developed at the O’Neill Playwrights Conference before its world premiere by Second Generation. Edith and Thunder were both Lambda Literary Award Finalists in the LGBT Drama Category and are available from Samuel French. Waterwell’s New Works Lab premiered Rey’s play A Spare Me at the Professional Performing Arts School in New York and the script is available from Playscripts. His play DEVIANT was produced by the Vortex Theatre Company. His short play Something in the Water was part of The Flea’s The Mysteries last spring, and his 10-minute play Some Other Kid continues to be presented as part of The New Black Fest’s Facing Our Truth: 10-Minute plays about Trayvon, Race, and Privilege. Rey’s other shorts have been produced by the Actors Theatre of Louisville (This is How It Ends, Ain’t Meat, and 1,260-Minute Life), The Yale Summer Cabaret (We Have Cookies), Vampire Cowboys (Red Rover), HERE (High/Limbo/High), and the Perry-Mansfield Performing Arts Camp (Out of Joint). Rey’s work has been developed at New Work Now! at The Public Theater, NewSCRipts at South Coast Repertory, The McCarter Lab, Victory Gardens’ Ignition Festival, Playwrights’ Horizons, The Magic Theatre’s Virgin Play Series and Asian Explosion, Ars Nova, Ma-Yi Theatre Company, The Lark, Rattlestick, and New Dramatists. He has been commissioned by South Coast Rep, the Actors Theatre of Louisville, the E.S.T./Sloan Science and Technology Project, Ma-Yi, The Flea, Mabou Mines, The New Black Fest, 2g, Waterwell, Vampire Cowboys, and Perry-Mansfield. Rey is Co-Director of the Ma-Yi Writer’s Lab, and is a past recipient of the Playwright of New York (PoNY) Fellowship, Princeton’s Hodder Fellowship, a Princess Grace Award for Playwriting, a Princess Grace Special Projects Grant, a NYFA Playwriting Fellowship, and a Truman Capote Literary Fellowship. He teaches at Primary Stages’s Einhorn School of the Performing Arts. B.F.A. : NYU, Drama. M.F.A. : Yale School of Drama, Playwriting.